Hummus already contains some protein from chickpeas (garbanzo beans), but it often doesn’t add up to a lot of protein per serving. Adding some shelled hemp seeds to the mixture can enhance protein content and increase healthful fatty acids, too. 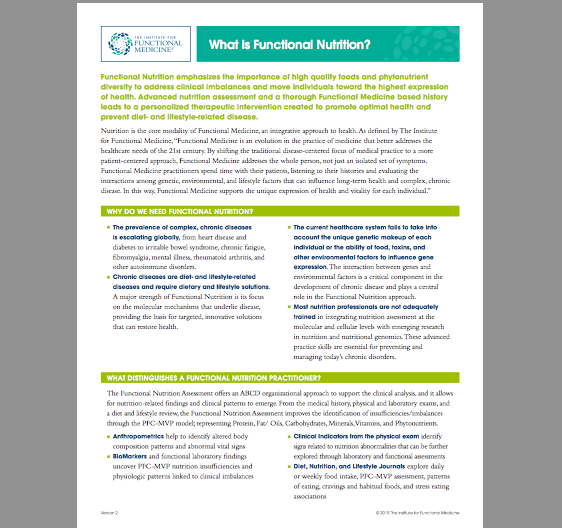 Functional Nutrition emphasizes the importance of high quality foods and phytonutrient diversity to addresss clinical imbalances and move individuals toward the highest expression of health. Functional Nutrition is about finding the right way for each of us as individuals to eat—using food to maximize the potential for health and reverse dysfunction or disease.There is no single “right diet” that applies to all of us.We have different genetic backgrounds, different preferences, and different lives.We all want to be healthy, but most of us haven’t figured out just how to make food and dietary patterns serve that goal. Functional Nutrition offers the concepts, strategies, and tools to make that happen! Explored through the lenses of the four natural elements – fire, water, air and earth – Cooked is an enlightening and compelling look at the evolution of what food means to us through the history of food preparation and its universal ability to connect us. Highlighting our primal human need to cook, the series urges a return to the kitchen to reclaim our lost traditions and to forge a deeper, more meaningful connection to the ingredients and cooking techniques that we use to nourish ourselves. The four part docuseries is available on Netflix.